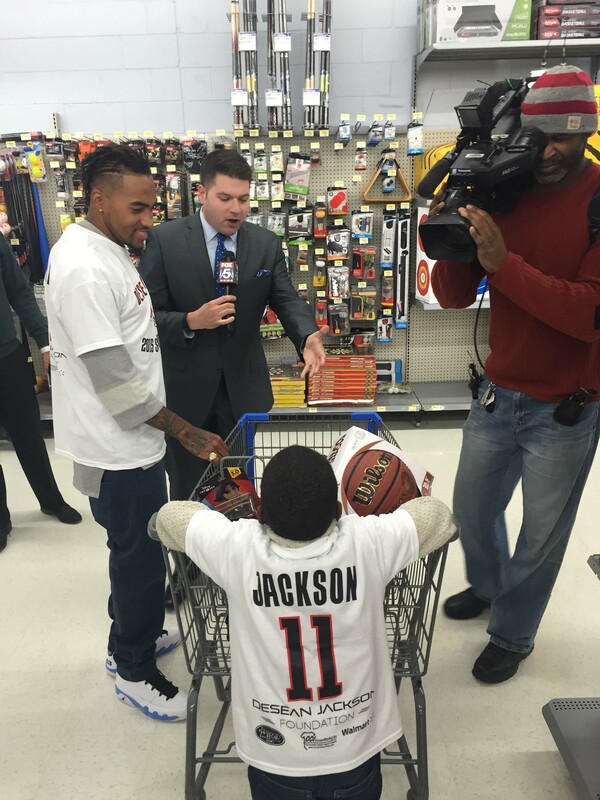 The DeSean Jackson Foundation hosted the third annual “DeSean Jackson: Shop With A Jock” event Tuesday night at Walmart in Sterling, Va. 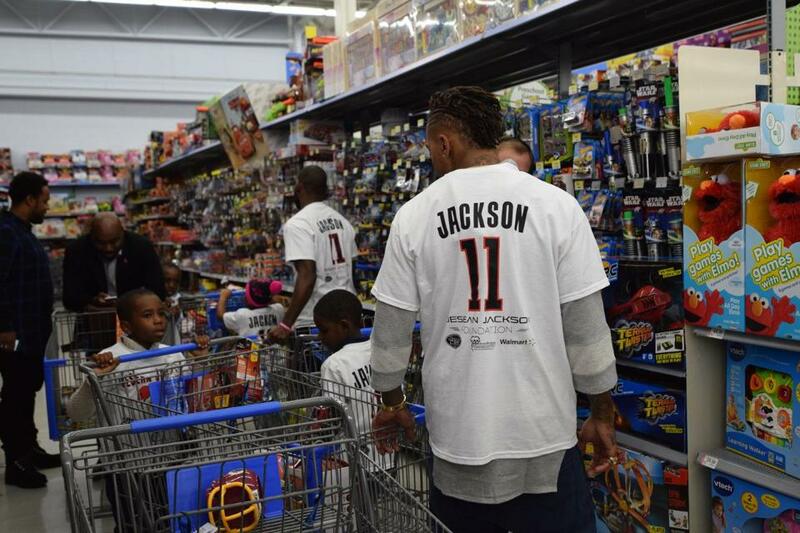 This year, and specifically this time of year, is special for Redskins wide receiver DeSean Jackson. 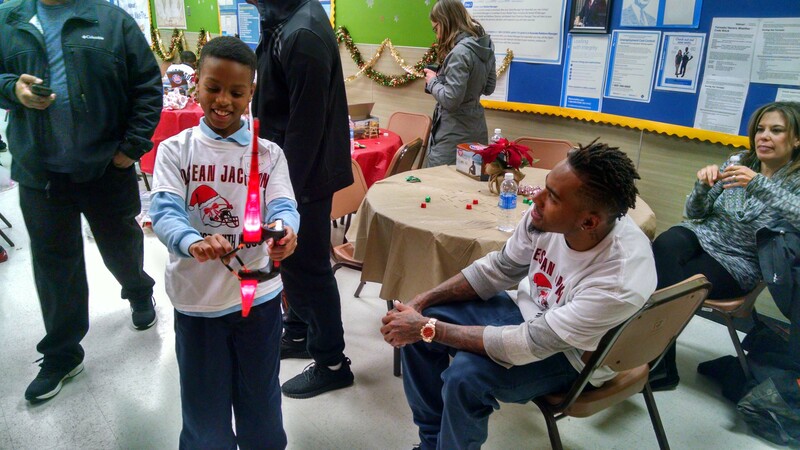 As a relatively new father who just celebrated another year of life, the holiday season only adds to the desire and commitment to give back to the local community that reminds DeSean Jackson of his own upbringing. 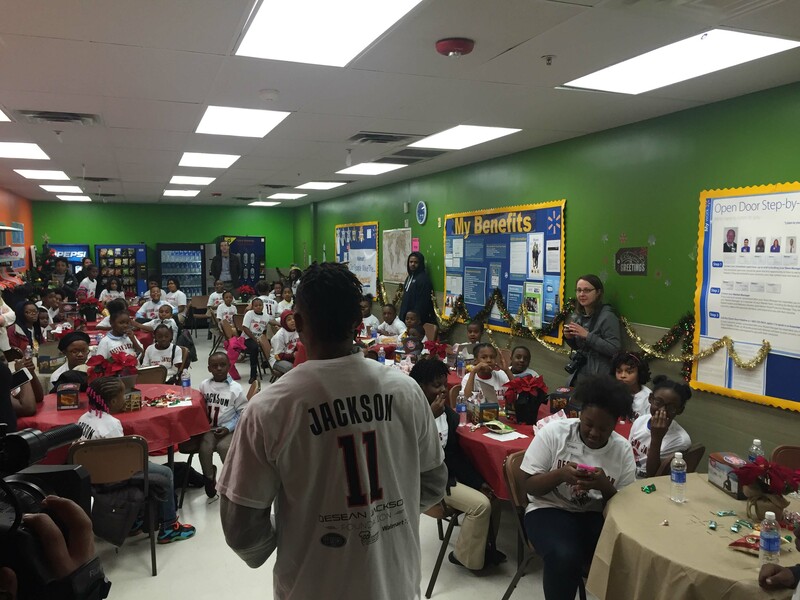 Jackson’s latest gesture came on Tuesday at Walmart in Sterling, Va., where 50 selected at-risk elementary students were awarded $100 gift cards to participate in the third annual “DeSean Jackson: Shop With A Jock” event. Each kid wheeled around shopping carts searching mainly in the toy aisle and doing their best to bump up against their gift card’s limit. 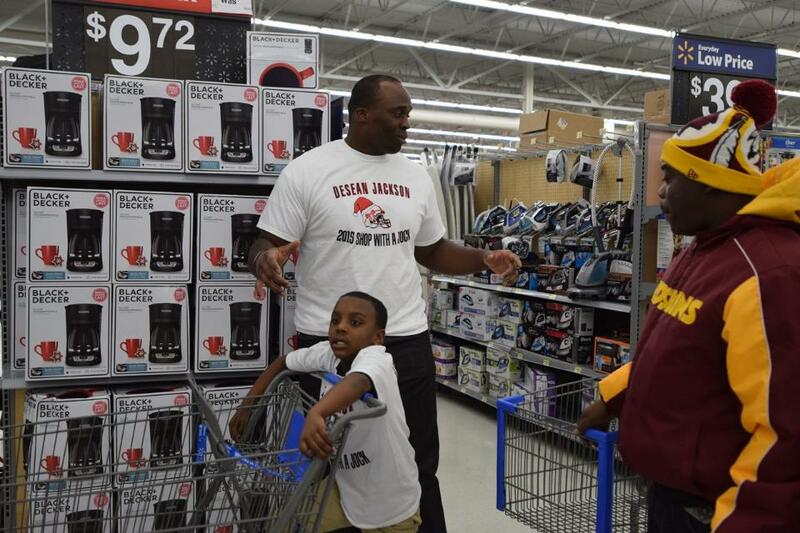 Jackson’s teammates – quarterback Colt McCoy, wide receiver Jamison Crowder, offensive lineman Arie Kouandjio and linebacker Martrell Spaight – helped navigate groups and checked prices to ease their checkouts. Running back Matt Jones and wide receiver Pierre Garçon also made appearances on Tuesday. 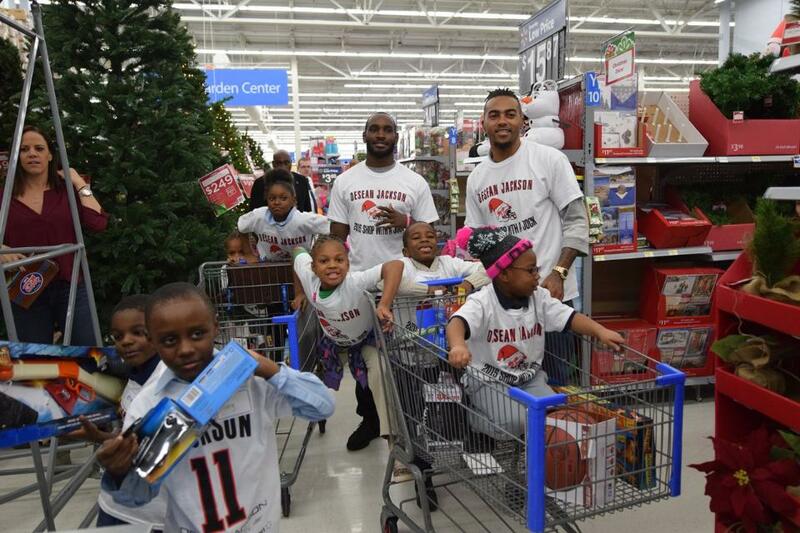 The Walmart Foundation provided $2,500 for the event and the DeSean Jackson Foundation covered the remaining portion based on the monetary donations they’ve collected throughout the year. Tuesday night, though, was mainly about having fun. All of this was a surprise for Spaight, who coincidentally was at Walmart to do some personal shopping, saw his teammates and immediately joined in to help the younger shoppers. For Crowder, it was a chance to further bolster efforts in the community, start a new week on a positive note and guide some youngsters in need.